Tom Brady threw for only 227 yards against the Dolphins on Sunday, his lowest total of the season. Yet thanks to a commanding run game, New England won in a blowout. 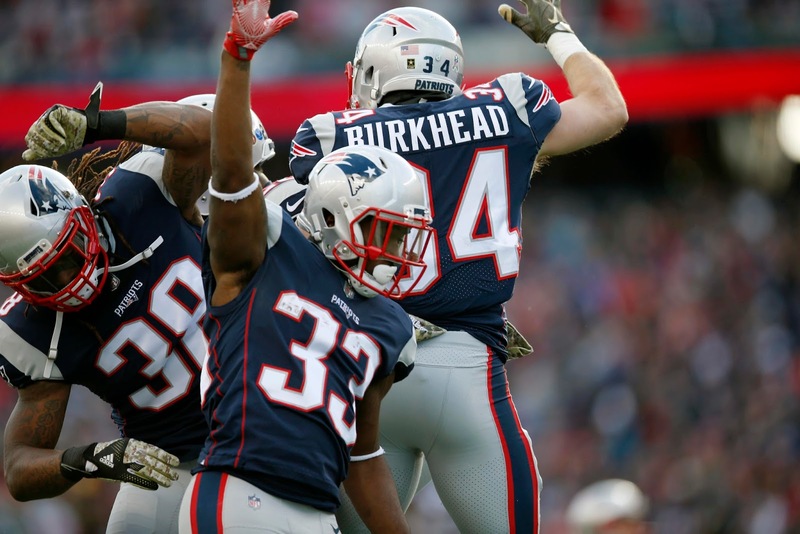 Dion Lewis was at the center of the team's success on the ground. He rushed for a career-high 112 yards on only 15 carries (a 7.5 yards per carry clip) and was targeted twice in the passing game despite only playing 40% of the team's offensive snaps. Rex Burkhead, playing an identical number of snaps, contributed 53 total yards and a pair of scores while James White chipped in three receptions out of the backfield. New England's 196 rushing yards as a team were a season high by a whopping 34 yards. This was also just the third time Miami had allowed over 103 rushing yards this year. It's even more surprising that the Pats were able to so thoroughly dominate the Fins on the ground given that the team was missing two starters along the offensive line and lost backup right tackle LaAdrian Waddle midgame with an ankle injury. Lewis and Burkhead didn't miss a beat en route to their season-best performances. And while Tom Brady dropped back only 28 times (his fewest attempts in a game this year), when he did throw he was given plenty of time thanks to Josh McDaniels' use of play-action and multiple-running-back personnel groupings to keep defenses honest. Forced to respect the run game first and foremost, Miami's D-lineman played conservatively and allowed the Patriots O-line to clean the pocket for Brady. The Pats had what was unequivocally their best running performance of the year on Sunday. As starters Marcus Cannon and David Andrews return from injury and as Josh McDaniels and Bill Belichick continue to fold in more of these concepts down the stretch, New England should be a force to be reckoned with on the ground and in the playoffs.